Alcohol-free wines make sense in today's health conscious environment. They are more than just a fad - they are a new habit. 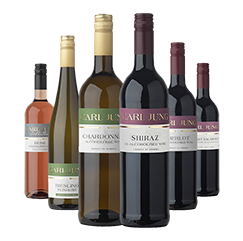 Individuals who are interested in moderation and responsibility, understand the value and quality of Carl Jung Alcohol-free wine. It is the alternative drink. Carl Jung - the first, the best - forget the rest.